Welcome to Blueberry Heaven: COME AND PICK 'EM! Blueberry Lovers: We'll be starting our new season Saturday, May 26th, so drop by or give us call! 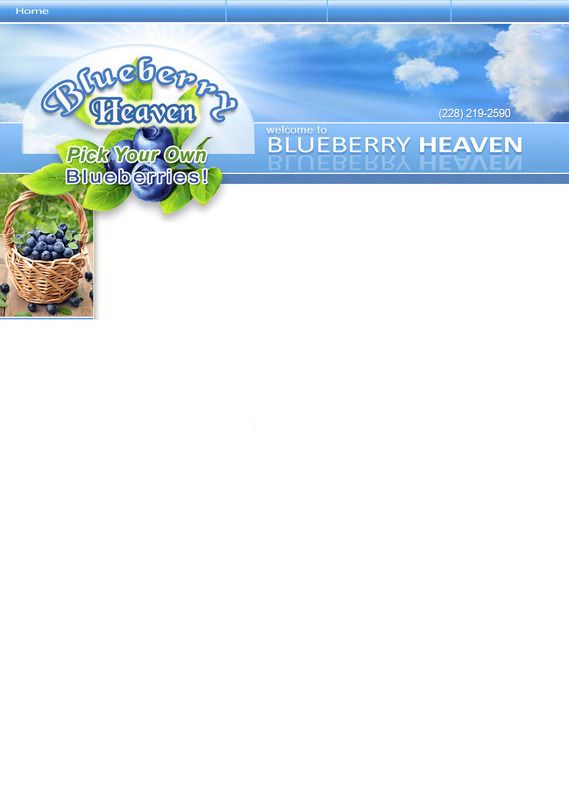 Blueberry Heaven is a family owned and operated organic U-Pick blueberry farm. No pesticides are used on our 6-acre, 6,000-bush blueberry farm in Vancleave, MS. What could be more delicious than fresh-picked blueberries? So bring the whole family and make it an outing! There's plenty of free parking. Your best bet for up-to-date information about times and conditions during the harvest is to follow us on Facebook. Prices: Admission and parking is: FREE! We also have water and sodas available for sale. Restrooms are available on site!